Noël approche et les gens sont très occupés à acheter des cadeaux, des robes, chaussures,nourriture et autre nécessaire pour la célébration de Noël. Les endroits les plus fréquentésdurant cette période sont les centres commerciaux. Voici à Davao, nous avons cinq centres commerciaux et un autre encore en construction. Bien qu'il y ait beaucoup de gens, vous serez toujours se sentir en sécurité car il se promenant un grand nombre de gardes, des inspectionssont effectuées avant que vous puissiez entrer et il ya aussi la video surveillance à différents endroits dans les centres commerciaux. Les centres commerciaux sont vraiment le principal lieude divertissement boutiques, des restaurants ou tout simplement pour. Hotel, motel, lodging house, room for rent, and cottages are the places where travelers commonly stay. Hotel accommodation would provide the necessities you need but it is a bit expensive especially in those high class hotels. In some countries, there are now furnished apartments for travelers like vacation rentals paris. Renting a furnished apartment is cheaper compared to hotel rooms and it could provide you the necessities you needed. It has a kitchen, great amenities and larger than hotel rooms. It would also give the ambience of not being away from home. If I could find a furnished apartment like in vacation rentals paris which is cheaper, I would go for it. Our two clients from London just went home from their one week visit here in the Philippines. In their one week stay, I observed they are sneezing or sometimes coughing. Maybe their body is still adjusting to the different temperature of this country which is a bit hot compared to them that is cold. If you are new to the place and to its climate, our body would really adjust to it and sometimes we usually get sick because the food, the temperature, the weather and many other things is new to us. That is why there is travel health insurance that is being offered now. It will cover up any medical expenses we incur while we are away from our own country. It is good for those who are always travelling abroad, for international students and study abroad students. It is better to have this one than let go of your allowances just to pay medical expenses. Cannibad is so far the cleanest and the most solemn beach I had ever been. True to its tag line "Cannibad: the Secret Paradise", it is really a paradise for me. 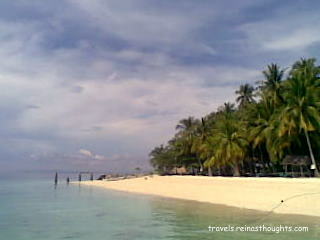 Cannibad is one of the beautiful beaches of Island Garden City of Samal (IGACOS) specifically located at Brgy. Penaplata. From Davao City, you must sail on a barge if you have a private car or on a ferry boat at Sasa Wharf. Barge fee may range from P60 pesos, for motorcycle, to 500 pesos depending on the type of vehicle that will be shipped. Ferry Boat is also a good means of transportation to reach Samal as well as taking a bus ride from Sta. Ana, Davao City, near Magsaysay Park to be able to reach Penaplata. From Penaplata proper it would be around four kilometers land trip to Cannibad. Though the road is stiff, it would be nothing compared to the paradise view of Cannibad that awaits you. I always dreamed to go to Manila Ocean Park. I think it is the only Oceanarium in the Philippines. I am on the southern part of my country and Manila Ocean Park is on the northern part so I never imagined that I can still be able to visit this place. So here it is, Manila Ocean Park is located in Manila, the capital city of the Philippines. It is at the back of Quirino Grand Stand which is famous as the place where new presidents of the Philippines take their oath. From the Ninoy Aquino Airport, we ride a taxi which cost us P250 pesos as fare to be able to reach Manila Ocean Park. The entrance fee is P400 per person as regular rate, children 4.5 feet and below P350 while children who are 2 feet and below is free in admission, there is 20% discount for senior citizen and 10% for Manila residents with valid id. After paying our admission fee, we roam around the oceanarium as long as we want. So, here are some of the photos I have taken. Enjoy!!! 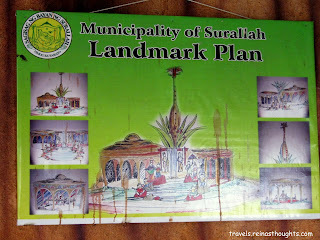 I couldn't count anymore how many times I had been to Surallah, South Cotabato. My mother has relatives here and my brother was transferred to this municipality by his employer. 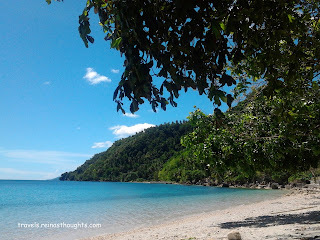 So we often visit here or merely passby on our way to General Santos or to Lake Sebu. 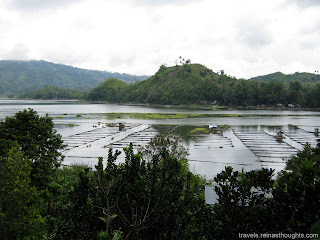 The last time I had been here was when I visited my brother after a leisure visit at Lake Sebu. The first thing that attract my attention when I reach this place is the beautiful landmark at the heart of the municipality. I couldn't help myself in taking pictures. This could be found along the way and in one of the intersections of Surallah. I never really hesitated to cross the busy street and reach this place to have some pictures. This is truly the landmark of Surallah.